I stampers, thanks for all the wonderful comments from the hop, I have enjoyed reading them all!! Congratulations to the winners!! I am having so much fun with my Pazzles...when I first started thinking about getting an electronic cutting machine I thought I would end up with a Cricut only because that's what everyone had...but when I heard about the Pazzles and the ability to use your computer with any font and any clip art I decided that was the machine I wanted. I thought I would basically use it for my scrapbooking and not card making, but I am using it more now with my cards and stamping! This Sunflowers & Butterflies stamp from Sparkle N Sprinkle was requested as a Cut File so we made it and then of course I had to test it out, so I colored it and I actually made the button butterfly a cut file also so I could make it dimensional. 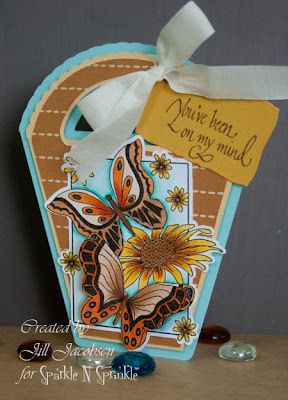 Then yesterday on the Pazzles Craftroom blog they had this cut sunflower basket cut file so I downloaded that and converted it to a card instead of a basket (actually I made it into a basket as well). The sentiment is from the new Just for You a Stampette Set at Sparkle N Sprinkle. This is a GORGEOUS Card! 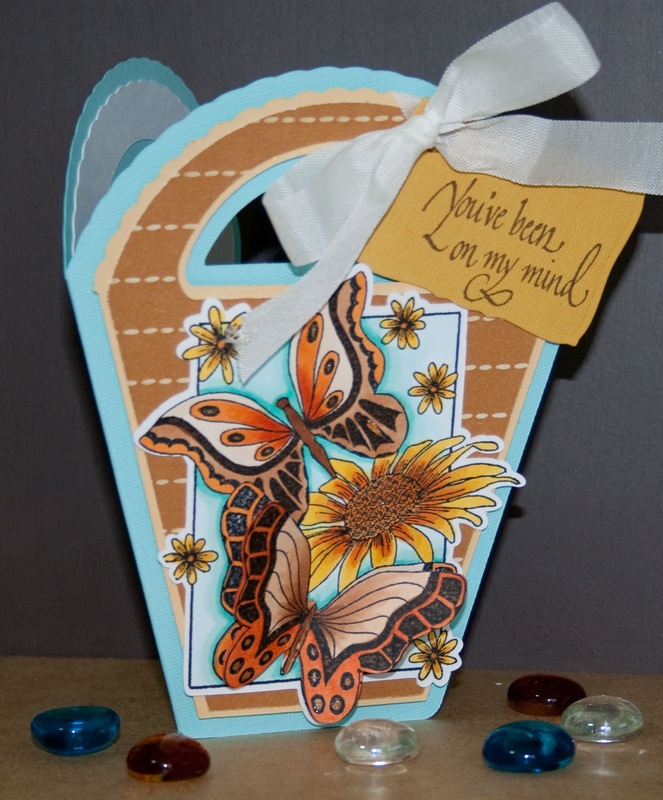 I love what you did with the butterfly image layers combined with the Pazzles Basket Cut File! Love it! TFS! super creativity most of girls like butterflies .